Joy Reid, Alec Baldwin, Jimmy Kimmel… All three have a “troublesome” history, all three have expressed “unacceptable” opinions in the past. As a grown woman in her late 30s and early 40s, Joy Reid not only wielded homophobia like a scythe against people she despised, after this history was discovered, she lied about it — lied to the entire country and her employers at NBC News. Still, Joy Reid is warmly accepted among those who successfully called for Kevin Hart to be blacklisted from hosting the Oscars. Alec Baldwin is even worse, a thoughtless rage monster who calls people “fags,” who is physically and verbally abusive, whose homophobia is well documented. Still, Alec Baldwin is warmly accepted among those who successfully blacklisted Kevin Hart from hosting the Oscars. Jimmy Kimmel has a long history of “misogynistic” comedy and a recent history of homophobia. Jimmy Kimmel has twice hosted the Oscars. Now, before we go any further, I want to be clear about something… I am not calling for Reid or Baldwin or Kimmel to be punished. I do not believe in blacklists or social ostracization or de-platforming or boycotts. Outside of calling for violence or encouraging criminality, even scumbags like Alec Baldwin should be allowed to express themselves however they wish, and do so without losing their careers, without being un-person’d by a fascist corporation like Twitter. We need to accept apologies, offer second chances, and stop being uptight assholes. And this is especially true — and I cannot express this strongly enough — especially true for comedians. 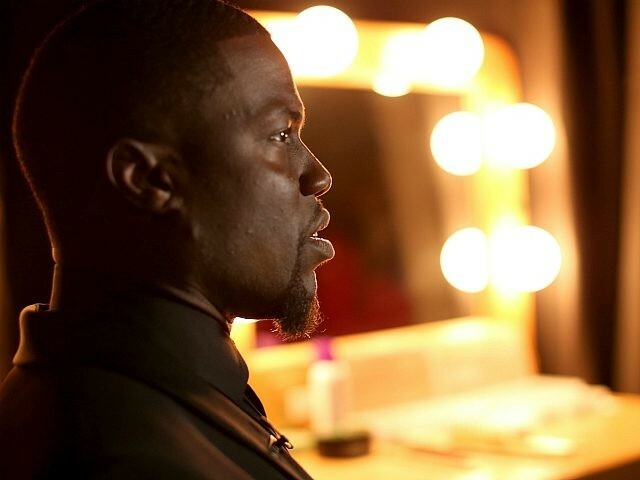 So why is Kevin Hart being blacklisted? Why are those who forgive Reid, Baldwin, and Kimmel refusing to forgive Hart for his “WrongThink” about homosexuality, his “incorrect” way of expressing himself so many years ago? Why did the Hollywood community demand that Kevin Hart be blacklisted from this major career opportunity over age-old humor that is no worse than the politically incorrect humor on the Man Show that made Kimmel famous, and does not come close to the vile things spewed by Joy Reid and Alec Baldwin? What’s the difference? What’s the difference between Kevin Hart and the other three? Well, sadly, in today’s increasingly intolerant world, there is a big difference. In fact, it is all the difference…. You see, Kevin Hart dares to be his own man, a man who refuses to conform in this, the age of President Donald Trump. Unlike Reid, Baldwin, and Kimmel, Kevin Hart does not behave in the way an entertainer is “supposed” to behave, most especially a black entertainer: Kevin Hart is apolitical. He does not trash Trump, he does not trash Republicans, he does not trash Trump supporters or Christians. That is no longer good enough for the Hollywood left. Fascism devolves like this… Once you have purified your institution of those people you then have to root out and punish the suspicious fence-sitters, those who refuse to comply, to behave and express themselves in the approved and expected ways. It is never enough for the left to prohibit you from doing and saying that which is prohibited. Eventually, you will be coerced and forced into behaving a certain way — like, say, baking a gay wedding cake. If Hart were running around hammering Trump, smearing his supporters as Nazis, and publicly urinating on your local Christian church, his “gay” jokes would not only have been forgiven, they would now be reported on in the proper context — as a man ridiculing himself and his own insecurities. But by manipulating the Fascist Commandment that reads Though Shalt Not Satirize The Gays, Hart is being made an example of because he refuses to get with the program, because he just wants to make everyone laugh … even Trump supporters. And yes, this is a blacklisting. Just like the movie studios and moguls of old were non-governmental corporations and private citizens who could choose to do business with whomever they wanted, so too is the present-day Academy and Blue Checkmark Mafia. And just like those who were blacklisted by private corporations and individuals 60 years ago, so too has Kevin Hart lost a career opportunity over political and cultural differences, over the way he expresses himself.